On January 14, 2016, a group of 11 volunteers left Harrisburg, Pennsylvania to start their long journey to Panna, India. The group flew out of Washington, Dulles to New Delhi, India. After a 5 hour layover, they boarded a 5-hour flight from Delhi to Khajuraho, India. 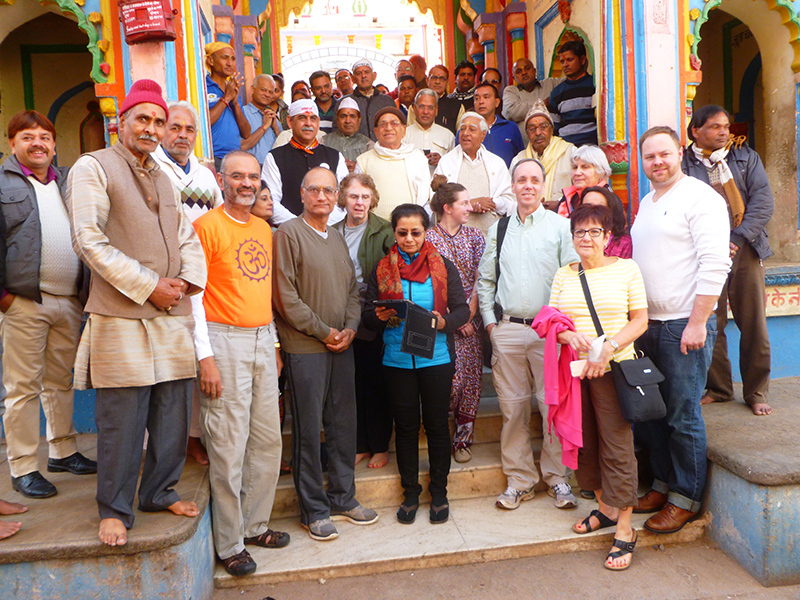 A one-hour bumpy car ride brought the group of weary travelers to Panna at 5 p.m. local time on January 16th. Volunteers from Washington State and New York were awaiting the team as they arrived at the hotel. Mission supply bags were transported to the hospital and the group had a meal and rested up for the busy days ahead. On January 17th, they hit the ground running at 7:30am and started sorting and organizing the supplies. Additionally they reviewed the operating rooms and set up to see patients. Their gracious hosts provided a welcome “opening ceremony” that morning including local officials which was covered by local press. Back in the United States, the Blizzard of 2016 did all she could to thwart travel for a couple other volunteer surgeons traveling to join us. The storm dumped over 30 inches of snow, but the determined travelers did arrive 2 days late and with no luggage! The combination of international travel in winter can often be challenging. The team performed 225 surgical cases during the 2-week mission. We learned that our group provided the first General Anesthesia at this hospital in more than 2 years. We even provided anesthesia for a local Obstetrician performing an emergency C-Section! We are pleased to report that there were no major complications were noted during the 2 week camp as well as when we followed up with the hospital administration 3 weeks after the mission. Operation Medical donated a set of Life box Pulse Oximeters to the Hospital for use on all their Surgeries/Anesthesia monitoring. We also conducted a brief training/in-service to the local Anesthesia providers. Additionally, we left a substantial amount of unused supplies for the hospital to use for their cases. The local administrative and staff support for the mission was phenomenal. Room and Board facilities were more than adequate and food was very good. No one was indisposed during the entire mission which is amazing in itself.